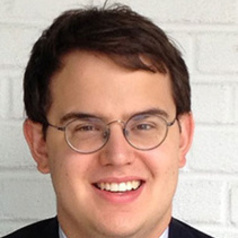 Ben Buchanan is a postdoctoral fellow at the Belfer Center's Cyber Security Project, where his research focuses on the intersection of cybersecurity and statecraft. His first book, The Cybersecurity Dilemma, was published in 2017 by Oxford University Press and Hurst. Ben earned his Ph.D. in War Studies from King's College London, where he was a Marshall Scholar. He holds Master's and undergraduate degrees from Georgetown University.